Volca Swingcheek Launch Edition adjustable riser case. 3D printed Black/White legs, Black plastic Swingcheeks with, waxed oak horizontals. Fits all of the Korg Volca series synthesizers. Easily change between a flat desktop and a tilted ergonomic orientation. 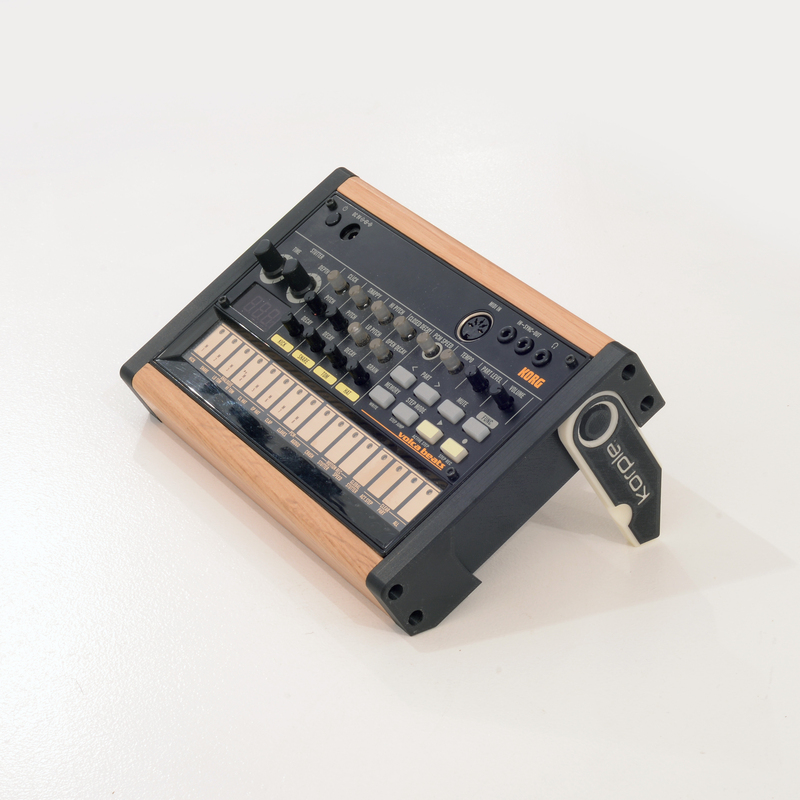 Volca Swingcheek tilting ergonomic stand/case. Black/White 3D printed legs, Black end cheeks with swing out legs and solid waxed oak horizontals. Easily change between a flat desktop and a tilted ergonomic orientation. The Korg Volca fits snugly into the case and is held by friction. Simply push the Volca out from underneath to remove.